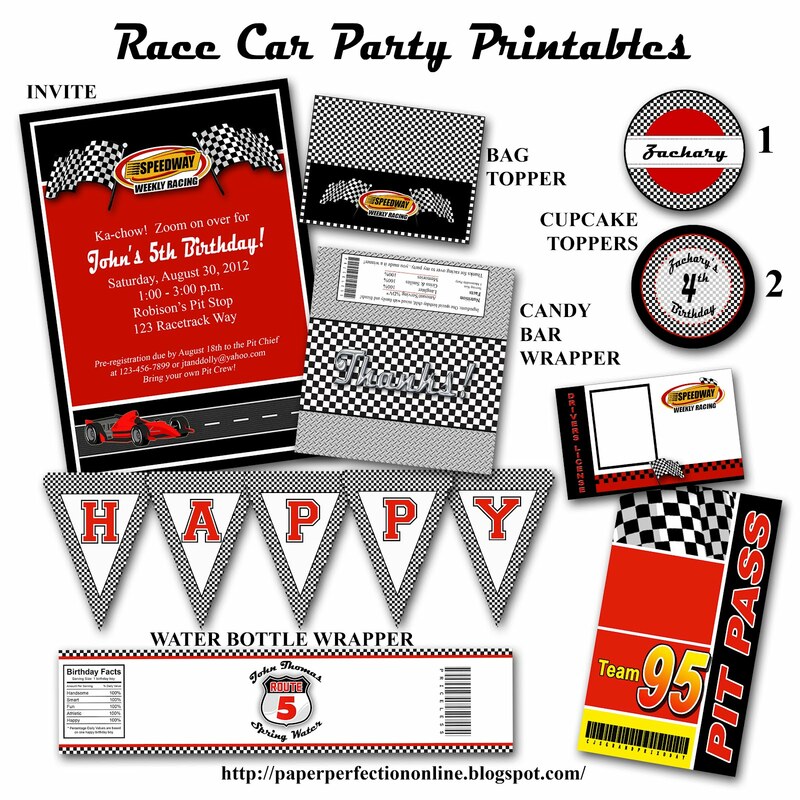 Unfortunately, I can't sell printable with trademarked images like the Disney Cars characters but I can sell printables that match the look and you can add actual Cars toys on the tables to enhance the decorations and give it a "Cars" feel. 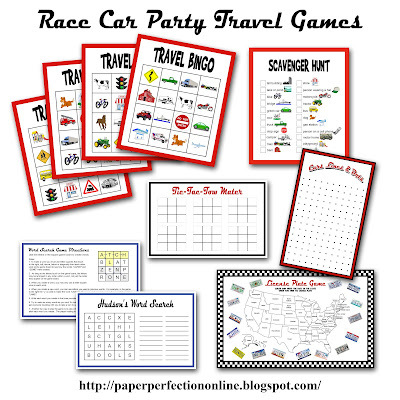 Here are a few travel games which make GREAT party favors for your guests. I print mine and laminate them and them stick them all in pencil bags with a dry erase marker or two so that they can be used over and over again. 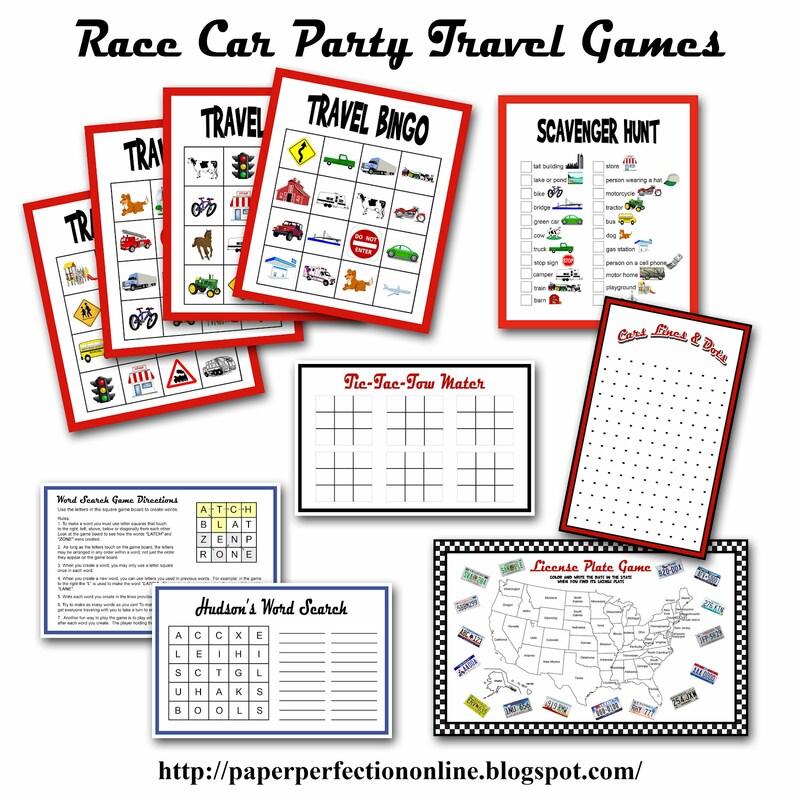 If you go to the link at the top of the post you can see examples of the finished games and how I presented them as party favors.